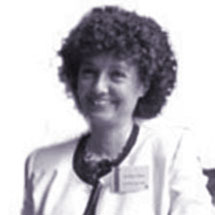 Myra Tilney trained in Malta, the United Kingdom and Belgium; she qualified with Distinction in Medicine from the University of Malta in 1984; MRCP(UK) in 1989, FEFIM in 2000, Dip Mgt (Henley) in 2001 and MBA (Henley) in 2003 (on scholarship). Her main interests include cardiovascular disease and its risk factors, and quality of care improvement. She is Examiner for MRCP(UK) PACES and MD (Malta). She has sat on various educational and professional committees including the University of Malta, Association of Physicians of Malta, Commonwealth Medical Association and Medical Association of Malta. Her outside interests include classical music, swimming, and walking holidays with her family.